Residents who need reliable Norwalk trash service collection know where to call, which is Oak Ridge Waste. Oak Ridge Waste Systems provides garbage and trash collection, dumpsters, recycling, confidential document shredding, and residential and commercial trash services. Oak Ridge Waste Systems has been in the waste systems industry since the 1950’s. Oak Ridge Waste Systems provides our customers with courtesy and respect. We are committed to developing a long-lasting, reliable and satisfying business relationship for all our customers in Norwalk, Connecticut. Oak Ridge Waste Systems has a variety of services to meet the needs of Norwalk. 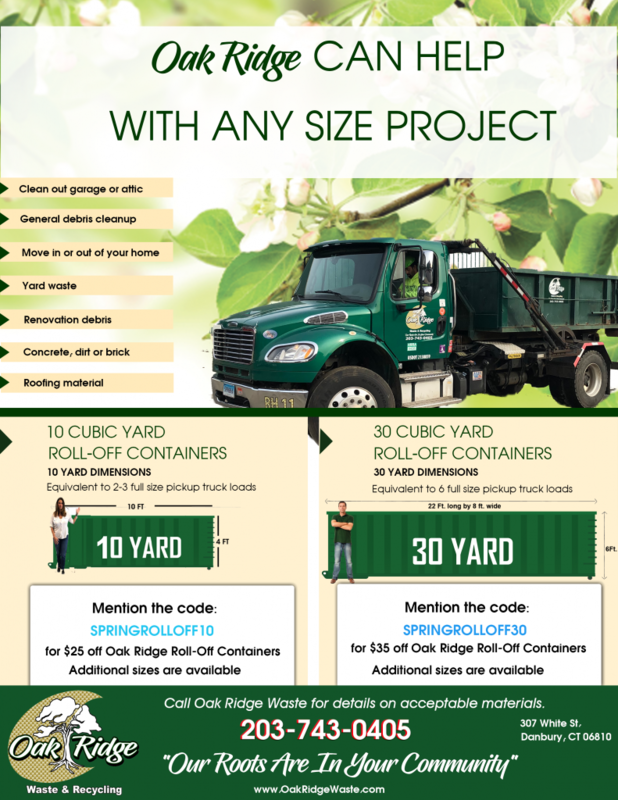 Oak Ridge Waste Systems offers roll-off dumpster rentals as well, and we have a variety of sizes of dumpster rentals available. Our dumpster rental comes at a competitive rate just like our garbage collection services. Norwalk is the sixth largest city in Connecticut. Norwalk has a population of 85,603. The original spelling for Norwalk was “Norwaukee”. The name was supposedly had come from a Native American Chief. The city was once nicknamed “Oyster Town”, because the farming of oysters was essential in Norwalk. Every September the city hosts an annual Oyster Festival to keep the nickname and tradition alive. Norwalk, Connecticut is a historic city. The Norwalk Museum features many historical facts and artifacts of the city. The Norwalk Museum is located in downtown on Main Street. The Sheffield Island Lighthouse is located on Norwalk Islands. This area was once known as “White Island”, and it was purchased in 1804 for $6,000 by Captain Robert Sheffield. The lighthouse was built in 1828, and the first light in the lighthouse burned oil. The lighthouse was built to warn ships of the dangerous rocks by the Norwalk harbor, and now tourists can visit the Sheffield Island Lighthouse to see the original building and structure. Norwalk is an amazing city packed with excitement, adventure, and relaxation. It is a wonderful city to plan a vacation or even live. Oak Ridge Waste is the waste system provider that Norwalk residents and businesses can depend on. We offer affordable dumpster, waste, and recycling services for our customers in Norwalk. If you need a dumpster rental, trash pickup, or any waste services, then contact Oak Ridge Waste Systems today. One of our knowledgeable staff will provide you with information on any of our services. A father of three was being nagged from his kids for throwing away recyclables. The kids kept telling their dad the importance of recycling and they recycle at school and they really wanted their family to recycle because it is better for the environment. The father started feeling guilty and knew that his children were right, but he realized that his current garbage service didn’t offer a simple recycling solution. He called the best company for garbage removal Norwalk had to offer, which was Oak Ridge Waste Systems. The dad asked his neighbors who they used for their recyclables and each of them said Oak Ridge Waste Systems, so with all of the recommendations he knew this was the company to call. 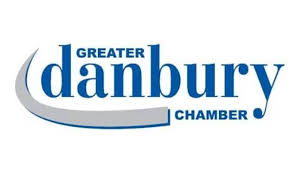 The staff informed the customer that we offered single stream recycling to make it easy on our clients. He ordered the service and let his kids know that they would start recycling. The father at first thought it would be a big hassle, but soon found out that it was quite easy to do. Oak Ridge Waste Services offered comprehensive services and single stream recycling, so the Norwalk family can recycle everything without it being a big drag. Oak Ridge Waste Services arrive on time each week to pick up the garbage and the recyclables, which was impressive to the father. He told his children if he knew it would’ve been this easy than he would’ve contacted Oak Ridge Waste Services sooner, because we are the garbage removal experts in Norwalk. A strip mall owner contacted Oak Ridge Waste Systems about how to start Norwalk garbage collection services. The property owner wanted to support a new tenant, but couldn’t accommodate them until he had the strip mall signed up for Norwalk garbage collection with Winters Bros. Waste Systems. The strip mall owner wanted to have the new tenant because it would bring more rent money along with added traffic, so the strip mall owner contacted Oak Ridge Waste Systems and signed up for Norwalk garbage collection. Oak Ridge Waste Systems created a customized delivery for the restaurant tenant that would be opening at the strip mall. The Norwalk garbage collection would provide a solid waste container that would meet the needs of the new restaurant, and recycling too. Our customer service team worked with the restaurant that was soon to be opening at the strip mall to meet their needs in waste and recycling, then devised a plan that also met their budget, which was important for the new and upcoming restaurant. The strip mall owner contacted us after the restaurant was opened at the strip mall to let Oak Ridge Waste Systems know that now that we suppled garbage collection for the restaurant that there are many new customers coming to the strip mall, and the restaurant was a pleasant addition to the strip mall and the community. Winter Bros. Waste Systems is the Norwalk garbage collection experts that work with each business to meet their needs and expectations. We provide all of Norwalk dumpsters the homeowners need, so check back here to read more on Norwalk’s construction projects!